Chinese New Year Parade Hong Kong is the highlight of Chinese New Year celebrations in Hong Kong. 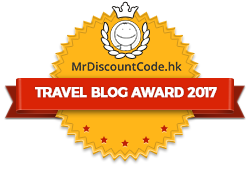 It is an annual event organized by the Hong Kong Tourism Board. There are nicely decorated floats as well as brilliant international and local performing groups, which let oversea tourists and Hongkongers celebrate the New Year in a wonderful street carnival atmosphere! Every year, Hong Kong Chinese New Year Parade attracts hundreds of thousands of people to come. Chinese New Year Parade Hong Kong was first held in 1996. The Parade was elected as one the world’s most admired entertainment events in 2007 by the “Lonely Planet”, one of the world’s leading independent travel books. The Parade has become a focus of global Chinese New Year celebrations. In early years, Hong Kong Lunar New Year Parade was held in East Tsim Sha Tsui in the afternoon of the New Year’s Day. Later, the venue was changed to the Tamar and North Wan Chai and then in Tsim Sha Tsui. In order to attract more tourists, the Parade has been held in the evening since 2004. Since then, lighting has been added to the floats so as to enhance the visual effect. After years of development, Hong Kong CNY Parade has become a world-class event, in parallel with the Lunar New Year fireworks display and other events, making Hong Kong a global focus of celebration for the Chinese New Year. The auditorium is set up at the starting point of the Parade. Visitors can buy tickets at the Hong Kong Tourism Board Advisory Centre. The ticket price is around HK$400. In addition, spectators can enjoy the Hong Kong Chinese New Year Parade on both sides of the route for free! For this reason, many people will arrive at the venue hours before the start of the Parade so as to acquire good viewing spots. If you can’t stand the crowd, no worries, the floats will be arranged for exhibition after the Parade. Sometimes, they would be displayed in Tsim Sha Tsui or at the Tamar. 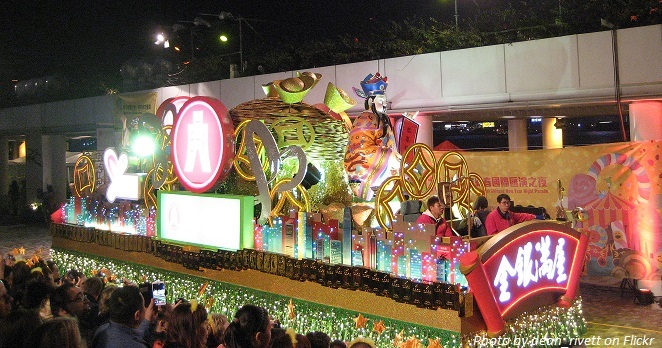 Last year, the floats were showcased in Lam Tsuen, Tai Po for ten days. Ticketing: HK$480/HK$450/HK$300 per person for spectator seats at the Hong Kong Cultural Centre Piazza. Ticket sales begin on Saturday, 26 January on a first-come-first-served basis. HK$300 per person for spectator seats on Nathan Road. MTR Tsim Sha Tsui Station, Exits A, C, D and E.
MTR East Tsim Sha Tsui Station, Exits J, K, L1, L3, L5 and L6. MTR East Tsim Sha Tsui Station, Exit L6. Star Ferry from either Central or Wan Chai to Tsim Sha Tsui. Note: Surrounding roads will be closed to vehicles about two hours before and after the parade. Please pay attention to government announcements in the local media. Hope you enjoy Chinese New Year Parade Hong Kong 2019. Share with us your joyful experience.